Due diligence – most important when schools are looking to join multi-academy trusts to ensure there are no nasty surprises after joining. Pre-conversion support – there are a number of new reporting requirements and challenges for schools when becoming an academy. There are tight deadlines after becoming an academy, and we look to provide the school with the right level of support to ensure they have the right tools to deal with the issues that arise whilst meeting deadlines. Post-conversion support – those academies that have recently converted (or even those who did so a while ago) may find they are lacking the specific skills needed to adhere to the new requirements of being an academy. We can help to boost the finance function of schools through support, training, and assistance on how best to run this function. We have a team of five consultants available including one of our partners and a senior manager dedicated to this sector, who would be able to come to your premises and assist right away. We offer a time-based service and we would outline the work we do and estimate how long it will take to complete the tasks by the different members of staff. We then agree on the price up front with you. Should you require any additional work we will be happy to quote for this. 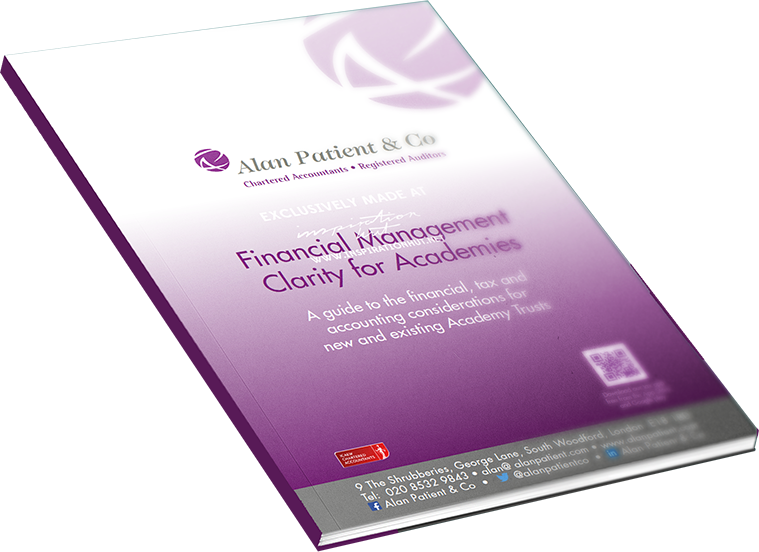 The support, guidance, and advice we give is designed to help meet the requirements of the EFA and the Academies Financial Handbook. Timely financial controls and effective reporting highlight areas where efficiency savings can be made and can help make funding go further. The Alliance Partnerships provide professional services for Academy Schools. They are a family run fire protection company working in London and Home Counties ensuring Businesses and Academy Schools are safe and compliant for their fire safety requirement. Angie Phillips is a Graphic Design Consultant working with SME’s across the UK to promote and build their businesses. Working with people who value good graphic design and understand the benefit and quality it brings to their business. From business cards, logos and branding to business literature, book covers, advertising, infographics and packaging, professional graphic design services to increase your profile and sell your services. With advice and expertise acquired from 30 years in the industry, Angie builds good relationships with her clients and has a good reputation for delivering and understanding what both her clients and suppliers require to ensure the quality of the final product. Being able to communicate and understand the clients needs from design to print and delivering the final project on time and to budget is an essential part of my business. Holding your hand throughout the design process to achieve your objectives to get the desired results. Additionally, Angie will continue to support her clients long after the job is done with social media and mutual introductions. With her experience and knowledge Angie believes she successfully offers you design services with a personal, friendly and professional dedication. Achieving good results and happy customers.